Adult residents can choose from any of the county’s 16 remaining clinics taking place now through Jan. 4. Burlington County residents still have plenty of time to attend one of the county’s health department’s free flu vaccine clinics taking place at multiple locations this fall and winter. Adult residents can choose from any of the county’s 16 remaining clinics taking place now through Jan. 4. Parents and guardians are also invited to bring their children to one of the county’s four remaining clinics that will provide flu vaccinations for children in addition to adults. According to the Burlington County Health Department, the county gave residents 1,300 free flu vaccinations last year. County officials say flu season in the United States usually hits its peak in January or February, but the peak can also occur in the fall or even late spring. 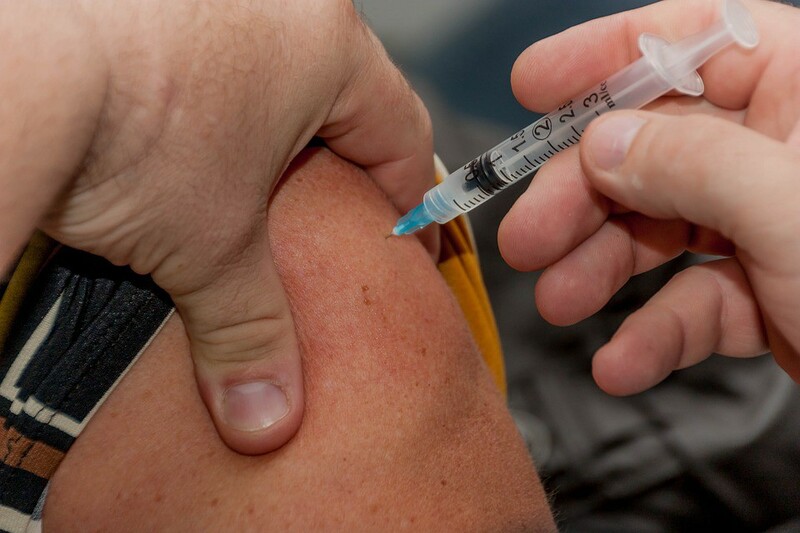 According to the county, a vaccination sooner rather than later will allow a body to develop antibodies early in the flu season, thereby reducing a person’s chance of getting sick before the vaccination is able to provide its full protection against this year’s flu strains. County officials say it can take about two weeks after flu vaccination for necessary antibodies to develop in a body to prevent the flu. As with all flu shots, the county notes there is no live flu virus in the shots and the shots cannot cause those vaccinated to catch the disease. According to the county, there are multiple flu viruses constantly changing at a given time, and a new flu vaccine is created each year to fight what viruses are believed to be the most likely to cause the disease in the upcoming flu season. Although a flu vaccination cannot prevent flu caused by a virus that is not covered by the vaccine, the county says vaccines that don’t specifically match viruses can still provide some level of protection. County officials say the Centers for Disease Control and Prevention recommends an annual shot for all those age 6 months and older. According to the county, those with weakened immune systems, children under 2 and those 65 years and older also have a higher risk of experiencing complications from the flu. · Oct. 26 — Evesham: 9:30 to 11 a.m., Gibson House, 535 E. Main St.
· Oct. 26 — Medford: 1 to 2:30 p.m., Cranberry Hall Senior Center, 44 Charles St.
· Nov. 2 — Moorestown: 9:30 to 11 a.m., Room A, Moorestown Library, 111 W. Second St.
· Nov. 16 — Burlington City: 1 to 2:30 p.m., Daniel Keegan Senior Center, 522 Wood St.
· Nov. 30 — Palmyra: 9:30 to 11 a.m., Community Center, 30 W. Broad St.
· Dec. 14 — Bordentown Township: 9 to 11:30 a.m., Carslake Community Center, 207 Crosswicks St.
· Dec. 14 — Florence: 1 to 2:30 p.m., FOP Community Center, 69 Main St.
· Jan. 4–2018 Westampton Children’s Clinic: 9:30 to 11 a.m., Burlington County Health Department, 15 Pioneer Blvd. Although registration is not required for the clinics, residents can visit the Burlington County Health Department’s page on the county’s website at www.co.burlington.nj.us to print and complete the flu vaccine consent forms to bring to a clinic.